Polycystic kidney disease. National Kidney and Urologic Diseases Information Clearinghouse. http://kidney.niddk.nih.gov/kudiseases/pubs/polycystic/. Accessed March 11, 2017. Chapman AB, et al. Course and treatment of autosomal dominant polycystic kidney disease. https://www.uptodate.com/home. Accessed March 11, 2017. 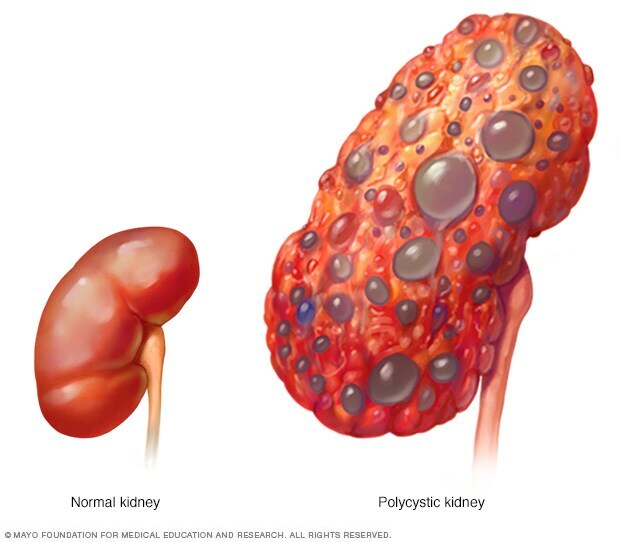 Polycystic kidney disease. American Kidney Fund. http://www.kidneyfund.org/kidney-disease/other-kidney-conditions/polycystic-kidney-disease.html?&gclid=Cj0KEQiA3Y7GBRD29f-7kYuO1-ABEiQAodAvwGAsS7ELsM8hNXkbCPt3pE8hsRp-kijSf4UAs-ZmPVgaArPQ8P8HAQ. Accessed March 11, 2017. Bennett WM, et al. Extrarenal manifestations of autosomal dominant polycystic kidney disease. https://www.uptodate.com/home. Accessed March 11, 2017. Polycystic kidney disease. National Kidney Foundation. https://www.kidney.org/atoz/content/polycystic. Accessed March 11, 2017. Torres VE, et al. 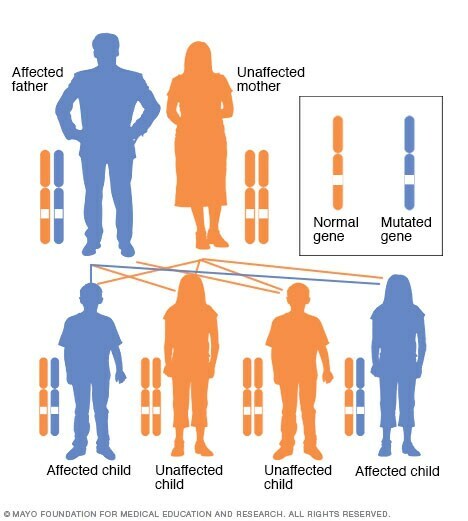 Diagnosis and screening for autosomal dominant polycystic kidney disease. https://www.uptodate.com/home. Accessed March 11, 2017. Albert CM, et al. Autosomal dominant polycystic kidney disease: The changing face of clinical management. The Lancet. 2015;385:1993. Rossetti S, et al. Identification of gene mutations in autosomal dominant polycystic kidney disease through targeted resequencing. Journal of the American Society of Nephrology. 2012;23:915. Torres VE, et al. Strategies targeting cAMP signaling in the treatment of polycystic kidney disease. Journal of the American Society of Nephrology. 2014; 25:18. Shoaf SE, et al. Pharmacokinetics and pharmacodynamics of Tolvaptan in autosomal dominat polycystic kidney disease: Phase 2 trials for dose selection in the pivotal phase 3 trial. The Journal of Clinical Pharmacology. In press. Accessed March 11, 2017. Hogan MC, et al. Somatostatin analog therapy for severe polycystic liver disease: Results after 2 years. Nephrology Dialysis Transplantation. 2012;27:3532.